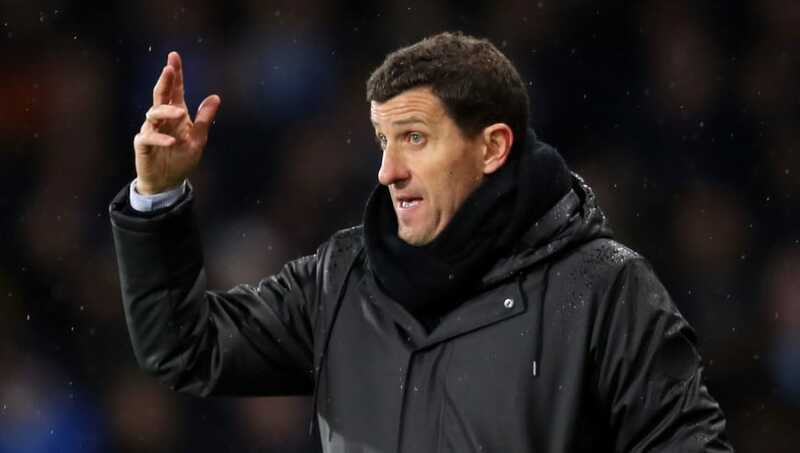 ​Watford manager Javi Gracia has praised the 'character and desire' shown by his players in the Hornets' 2-1 defeat to Manchester City on Tuesday night. Goals from Leroy Sané and Riyad Mahrez put City in control until a late goal from Abdoulaye Doucouré set up a tense finale at Vicarage Road. Following the defeat to ​City, ​Watford are without a win in the Premier League since October, having won only two of their last 11 league games. Speaking to ​BBC Sport, Gracia said: "We will always fight, that's our mentality. We competed until the end, I am happy. It's good for us to compete with City. "We knew it was very demanding for us. We have to work hard all game and try and have options at the end. At the end you saw them wasting time, we have been close to getting a result but they are a very good team - they deserved to win. "Ben Foster was great, it is no surprise to me. When I came to London I thought Big Ben was in the city but no, he is in Watford for us! "City control possession but we have been organised. We try to press higher but they are very good, very dangerous. "You know they always dominate the game and create a lot of chances. Ben Foster was amazing, we showed very good spirit until the end and in the last few minutes we had the option to get a better result. ​Watford will be hoping to end their disappointing run of results in their next fixture, which sees them travel to ​Everton on Monday.